Watching the pollen dusted bumble bees this summer led us to ask: can we share with everyone the exact nature of the individual atom and help people come to know it in a sensorial way like the bee knows the flower? 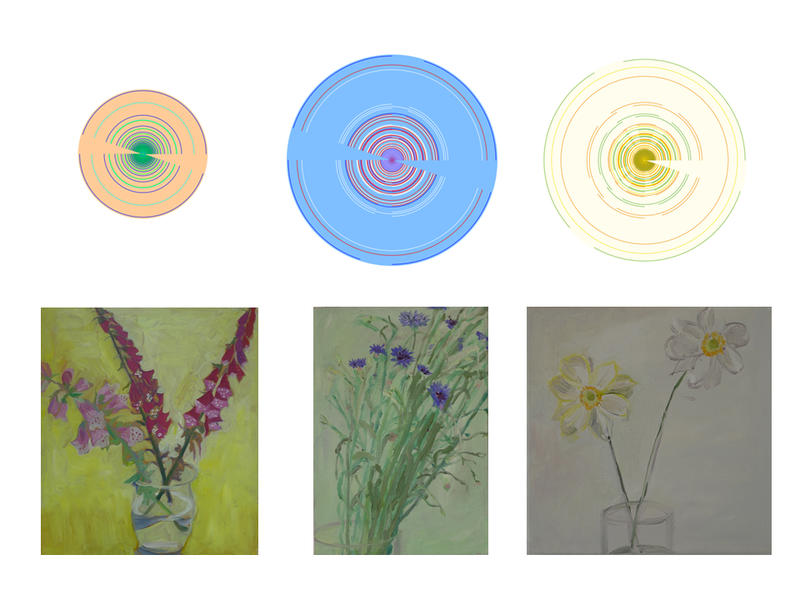 ‘Yes’, is the answer and while we are creating our proposals I share new images of three atoms and three freshly painted flowers. Each atom is depicted exactly as we determine it to be from careful experiment (we show resonant frequencies with the orbital angular momentum and spin of each). Top: Lithium; Nitrogen and Oxygen. Bottom: Bee Hotel, oil on board; Cornflowers, oil on fine linen; Japanese Anenomes, oil on canvas.